The septic system in essential in your home, filtering water from every drain, toilet, bathroom and your laundry. Though you can’t see it and probably don’t think about it, your septic system is active every day and in almost every activity that you do at home, from your morning shower to washing your dishes to washing your clothes and everything in between. When something happens to your septic system, your day can quickly go awry. Regular maintenance will keep your septic system working properly and prevent problems. If something does happen and your septic system stops working, you need quick, professional services to assess the problem and make the necessary repairs. Carolina Septic Pro gives you a complete list of septic services in Mecklenburg County to keep every part of your septic system working properly, from the inlets and outlets, to the tank and drain field. If damages have caused the septic system to work slowly, water has stopped filtering or you have noticed back-ups and flooding in or around your home, Carolina Septic Pro provides septic tank maintenance and repairs in Mecklenburg County to fix problems that have occurred. If your system is working smoothly, Carolina Septic Pro gives you local septic pumping and maintenance services to keep the tank and all components in full working order. Carolina Septic Pro are your local septic tank installers and one of the most trusted septic tank pumping companies in the Carolinas. Carolina Septic Pro serves neighbors with integrity, trust and knowledgeable, professional services, and continues to gain new customers through recommendations. Customers that have had their septic tanks installed with Carolina Septic Pro continue to use their services for years to come for pumping, cleaning, repairs and maintenance. Carolina Septic Pro has the equipment, tools and expertise to solve any septic problem and provide all of the septic maintenance needed to keep the system working properly. If you need service fast, Carolina Septic Pro will send out an expert to help right away to your home or business in Mecklenburg County. Septic system problems can happen suddenly and if your yard is flooding, your toilets are backing up or other big problems are occurring, you can’t wait for someone to take care of the problem next week or next month. Carolina Septic Pro are local experts near you that can take on the project immediately and provide emergency services to solve the problem when you need it. If a problem happens in the middle of the night, during a holiday, when you have family visiting or another important time, Carolina Septic Pro is available to help. Honest and knowledgeable service is just as important as speed when it comes to your septic tank. Septics installers and service technicians at Carolina Septic Pro won’t upsell you, give you products that you don’t need or install a system that is too big for your home. All the staff at Carolina Septic Pro have your interests at heart and want what you want; for your septic system to simply work the way that it’s supposed to. All solutions will be honest and clear, and all repairs will be as affordable as possible. Carolina Septic Pro’s staff use years of experience in servicing and installing septic tanks to handle every problem and every service, from routine septic pumping to in-depth repairs. The service technicians know where to look for common problems and how to make long-lasting repairs quickly and easily. 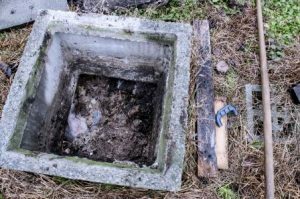 If your septic system is not performing at an optimal level, service technicians can take a look at the problem and ascertain where damages or clogs might be. Carolina Septic Pro offers the service that only experienced professionals can give, and doesn’t need sales tactics or misleading information to make a successful business. Customers keep coming back because the service is reliable, professional and gets the job done right the first time. If your septic system is due to be pumped or you are not sure when your system was last cleaned, call Carolina Septic Pro. An inspector or a service technician will give you a reliable schedule for pumping the septic tank so you get the most out of every service while maintaining the integrity of your tank. If you need a new system installed, Carolina Septic Pro will use the layout of your home and your yard to give you the best tank design and the best placement. Technicians will take care of necessary building permits and make sure your septic system is connected, dug and installed correctly. If you encounter a problem with your tank or if you notice plumbing around your home is not operating normally, an inspector will assess the tank, drain field and attachments and find any damages or clogs. For a complete list of septic services, call Carolina Septic Pro today to make an appointment or call for emergency services. Carolina Septic Pro provides septic services in the following cities in Mecklenburg County: Charlotte NC, Cornelius NC, Davidson NC, Huntersville NC, Matthews NC, Midland NC, Mint Hill NC, Pineville NC, Stallings NC, and Weddington NC.